Conservation services offered by Mehlin Conservation of Massachusetts. Your first contact with Mehlin Conservation will provide the opportunity to discuss your project and your expectations. 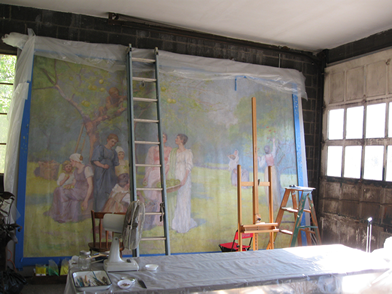 You can bring the object to the studio for an examination, or a site visit can be arranged. 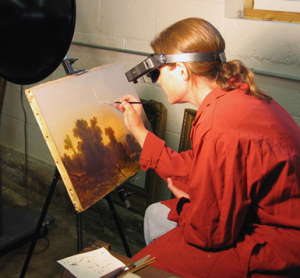 We will discuss the painting’s conservation needs and treatment options after a complete examination of the work. After treatment is completed, a dossier will be provided with a treatment report, a treatment proposal, and photo documentation.